Zydeco music and Cajun music are often used as similar terms to denote a broad range of music style. However, it must be noted that these two music brands are entirely different from each other, although their sound is really not that too far apart. Depending on the subtype of each music class (Zydeco or Cajun) each class still has a distinct rhythm that makes it fall under Zydeco or Cajun respectively. Zydeco music is distinct from Cajun music in the sense that there is a constant returning rhythm to it. This type of music originated somewhere in Southwestern Louisiana dominated by only one single chord. Zydeco makes use of various instruments that may include a washboard and wind instruments. It is greatly influenced by rhythm and blues style of the Black Creole and jazz music themes; simply speaking it’s like pop. It also makes use of a piano accordion. It’s accordion is not diantonic. Cajun music on the contrary is influenced predominantly by country type of music most especially during the 1930s and 1940s. This waltz type of music was pioneered by the non-black Acadian successor from Nova Scotia. 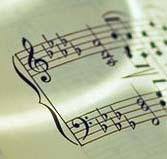 There is great spirit in this type of music since many notes are repeatedly used. The instruments used are primarily the accordion and the fiddle. Sometimes, Cajun may be supplemented with the metallic high notes of the triangle instrument. Its accordion is very diatonic. In many occasions, two fiddles are used to make up the entire Cajun music. In this instance one fiddle will play the melody while the other will be some kind of a back-up to the entire ensemble. In the later years, it was the accordion that became the star of all instruments. It was around 1930 when string instruments started to dominate the scene of Cajun music. It was only a decade after that the accordion regained its position as the lead instrument in this type of music. Today, Cajun further evolved into a more country type of music. Drums are sometimes used to make a unique and forceful transition and electric guitars are also served to enhance the sound strength of the more traditional accordion. 1.Zydeco music has a constant returning of rhythm whereas Cajun music uses most of its notes repeatedly to make a more spirited effect. 2.One of Zydeco’s origins can be traced from Southwestern Louisiana whereas one of Cajun music’s starting points was in Nova Scotia. 3.Zydeco’s accordion is usually not diatonic whereas Cajun’s accordion is usually diatonic. 4.Zydeco is comparable to what pop music is whereas Cajun is like waltz and jazz. 5.The instruments used in Zydeco music are the washboard, wind instruments and accordion. Cajun music makes use of the accordion and fiddle and sometimes the metal triangle. Julita. "Difference Between Zydeco and Cajun Music." DifferenceBetween.net. September 28, 2017 < http://www.differencebetween.net/miscellaneous/difference-between-zydeco-and-cajun-music/ >. Larry, was about to reply the same thing. I am a cajun musician (accordion) and a student of both music types. While this write up my be an okay attempt. It is critically flawed. For my personal taste the best zydeco music is played on a diatonic accordion. BooZoo, Kieth Frank, Corey Ledet, etc… I love when they play on a diatonic accordion. Also, this article never mentioned creole/la la music. There are many songs in the cajun, creole and zydeco repertoire the shared by the 3 genras but just played in the respective styles. A song like the Eunice Two Step is a perfect example. Can someone define “Diatonic” I’ve never heard the word before. it means ‘only capable of playing the 7 notes of a major scale’. the white keys of the piano are diatonic in the key of C.
you could look that up, wiki and google are full of info on music scales. Zydeco music has very deep historic roots in the Atakapaka Natives who occupied the land between the Sabine river near Lake Charles and the Achafalaya Basin near Lafayette Louisiana. The young natives called it “sky” music from the five types of tribal gatherings that took place. Each tribe group had their own music and Zydeco in its raw native form was the young tribes selection and distinguished itself from the unique drum beats and the sensual swaying. It is the roots of Jazz , R&B and Hip Hop. Extensive research and publication credit go to my Uncle (deceased) Father Hubert Singleton formally from New Orleans, Louisiana. He is a very accomplished researcher and publisher on this subject. I am a Redbone with Bayou Teche Creole on my paternal side. My Godchild was a Zedeco superstar acordian performer, therefore, I am close to the authenticity of the culture and music. There is nothing Cajun or Acadian in Zedeco. The Spanish, Africans and Indians already had that popping hard in the swamp. The difference is night and day.